FANCY GETTING ACTIVE BUT DON’T FANCY THE GYM ENVIRONMENT? This one is for you. 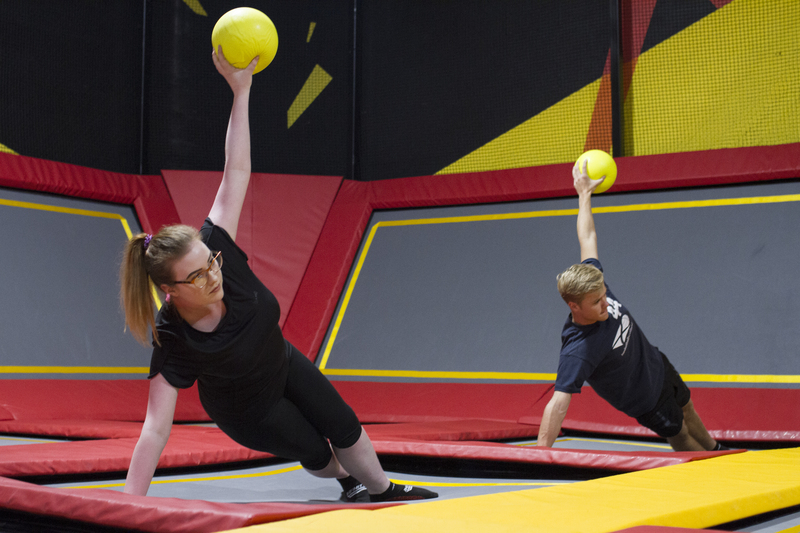 An introduction to trampoline fitness which caters for all abilities and fitness levels! This is an instructor lead class combining aerobics, step and bouncing. They’ll be very basic choreographed steps working to the beat of the music giving you a great cardiovascular workout. Exercising on the trampolines is a fun, low impact exercise that really focuses on working your core strength without doing loads of boring crunches! Everyone will have their own trampoline so you have your own space to exercise and keep it at your own pace. With a great playlist of songs to keep you motivated it’s sure to get you fit and have fun at the same time. Every Tuesday at 7pm. Due to the availability of our fitness instructor from time to time classes may not run outside of term time. Please check our timetable here and be sure to book in advance to avoid disappointment! All participants must be aged 16+ and within the weight limit of 16 stone. Socks must be worn in our park. Our special grip socks are also available to purchase in the park.